Tuesday, January 29, 2019 - These shameless gangsters went to execute their evil mission around Kaloleni area in Mombasa without knowing that CCTV cameras were recording them. 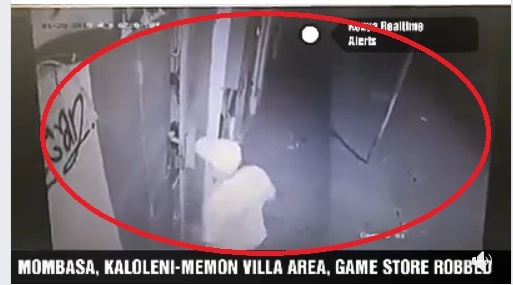 They broke into Gamestore and stole equipment worth Ksh 300,000. Is there anyone who knows these thugs? Watch CCTV footage and help police to trace them.